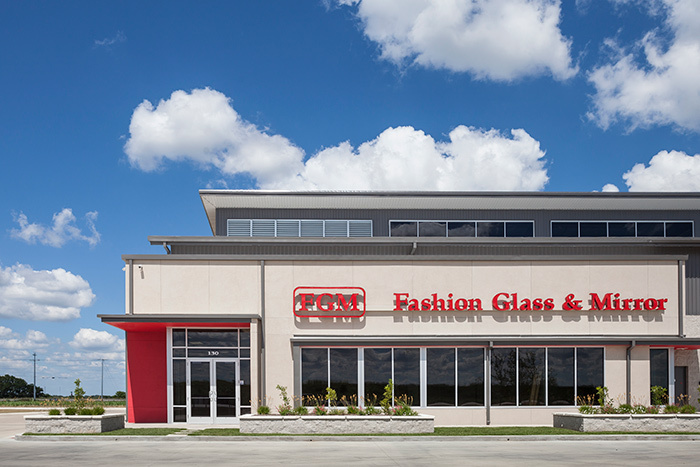 Fashion Glass & Mirror, LLC is a large glass manufacturing company based out of DeSoto, TX. 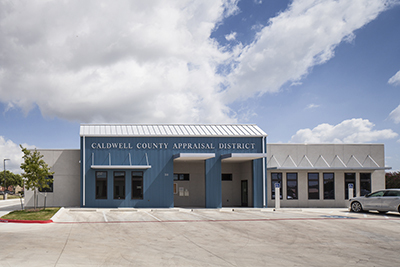 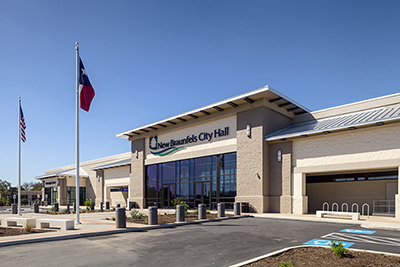 They operate a handful of manufacturing facilities across the state of Texas including one in a leased space in New Braunfels, TX, which was not meeting their needs in terms of convenient day-to-day operations. 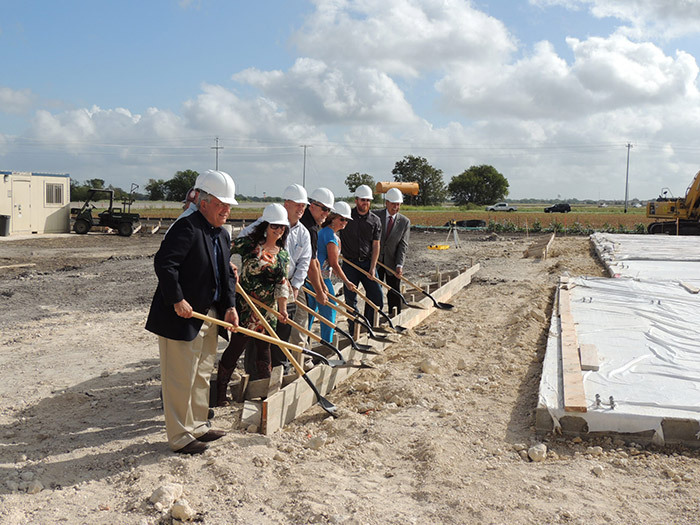 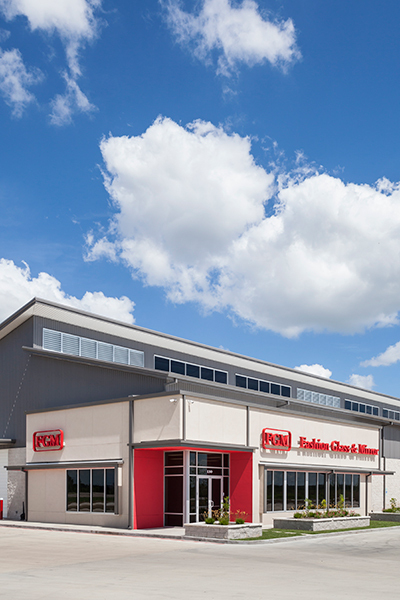 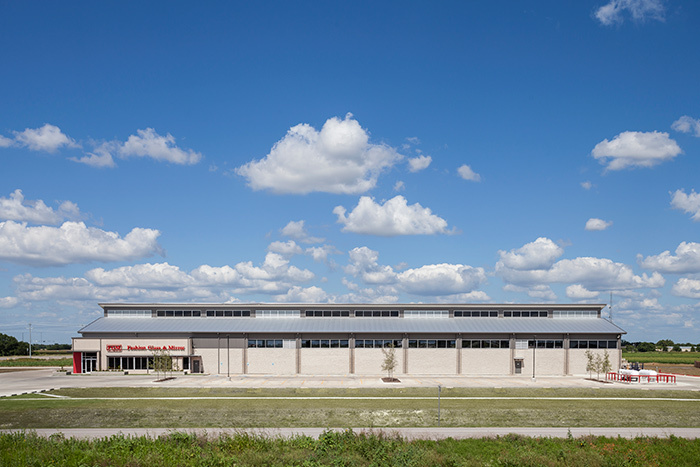 Looking to building a brand new facility they turned to Lockhart, TX to take full advantage of the new SH 130 highway providing direct access to the Austin-San Antonio Corridor. 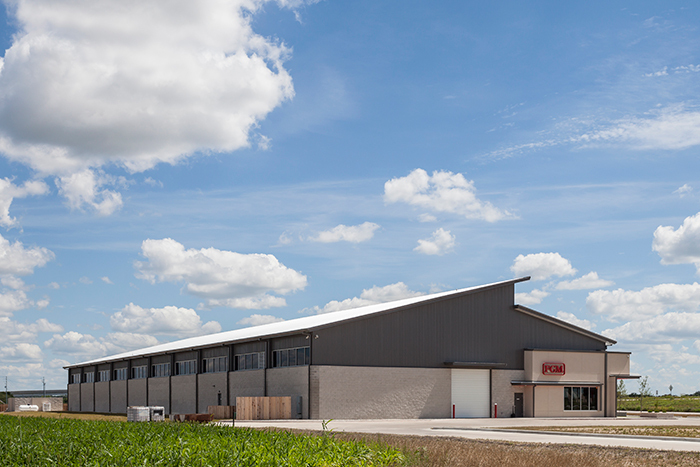 The new facility is a 33,000 square foot building that includes a 2,400 square foot showroom and office space, as well as a large manufacturing and storage space and indoor, overnight parking for their delivery trucks. 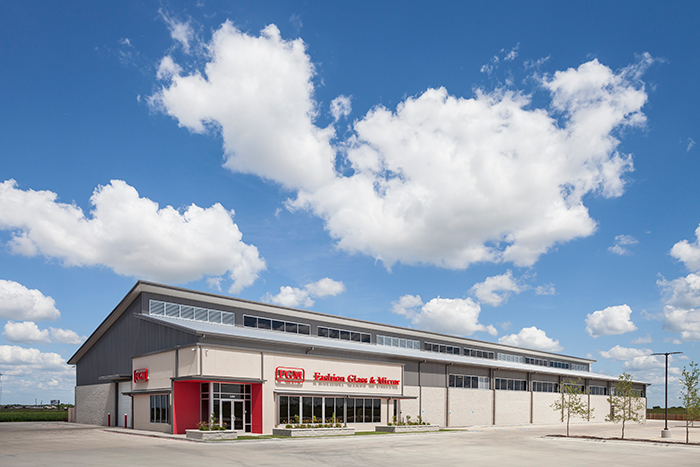 We worked closely with the clients and the construction manager to ensure that the building would be designed in the most economical way while also maximizing productivity and complying with the Lockhart Building Appearance Standards. 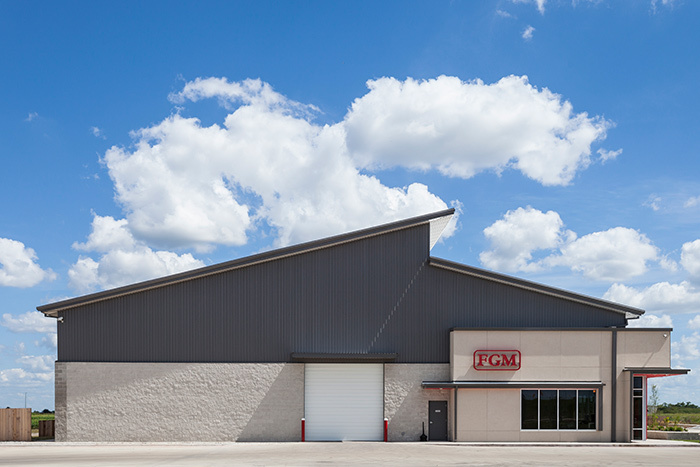 The north and south ends of the building have large overhead doors aligned to allow for the most efficient means for the delivery trucks to enter and exit the warehouse/manufacturing space. 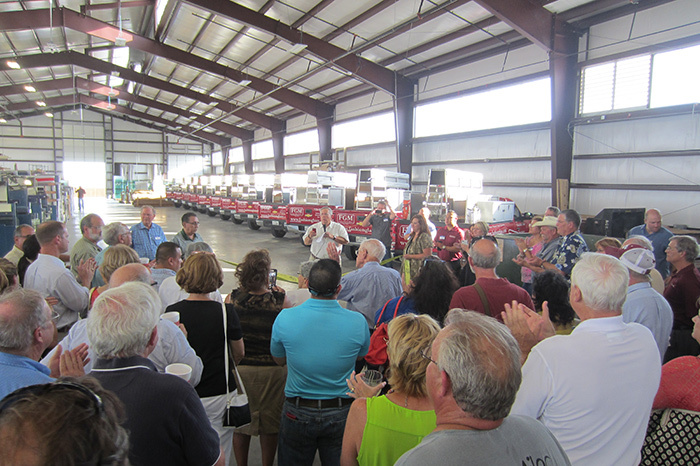 Energy efficiency was also an important aspect of the project. 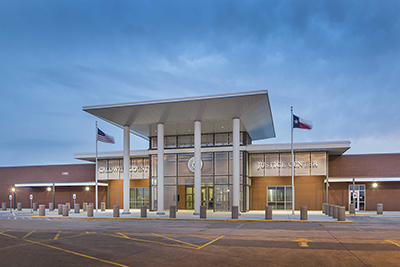 All of the lighting fixtures are LED and the project design includes many large, low-e, clerestory windows to full advantage of natural daylight.